Whether you are brand new to music studies or continuing,we want you to enjoy and prosper in your music education here. Graham Piano Studio opened it's doors in Downtown Pleasanton 25 years ago by Ronald Graham, professional pianist and well-known piano teacher and educator. Alena Shabes is a professional musician with over thirty-five years of music training, performance and teaching. Ms.Shabes graduated from one of the most prestigious schools of music in Russia -- the St. Petersburg Conservatory of Music. Ms. Shabes has a Masters in Music with graduate-level academic study in music pedagogy and music performance. She has over 18 years of music teaching experience which includes instructional theory and education. Natalia Sakhnovskaya has over 40 years of piano teaching experience, and has successfully trained pianos students who have become professional pianists. Ms. Natalia's expertise is teaching piano. She graduated with her Bachelors degree in music with an emphasis in piano instruction. She also was a accompanist for the Ukraine Music College for over 27 years, where she provided the piano accompaniment to college level music students. 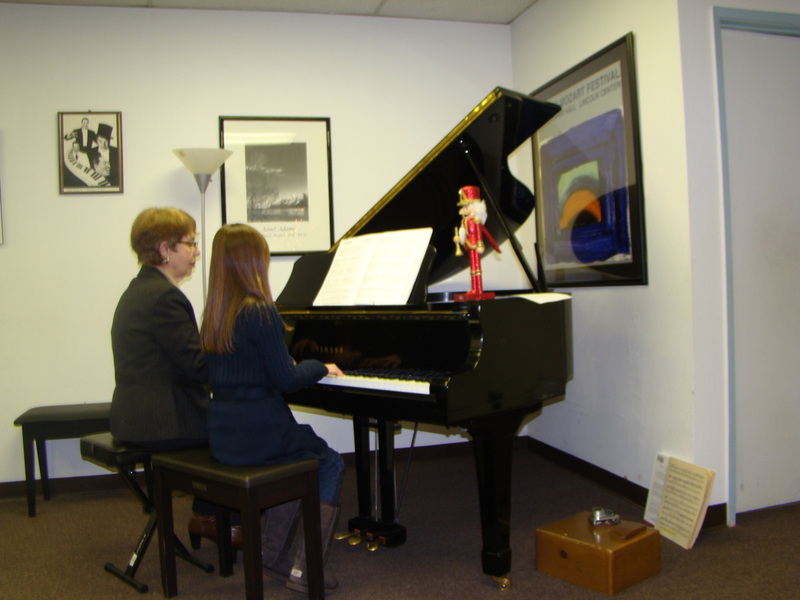 Her training in piano teaching includes piano technique, music theory and practice which includes note reading, listening skills, sight reading, ear training. 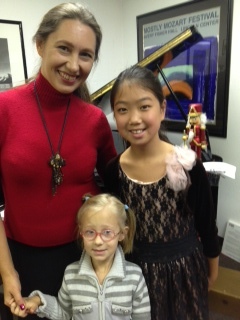 Many of Ms. Sakhnovskaya's student have participated in the national exam for piano students through the National Guild of Piano Teachers Evaluation program. All of her students passed with a "good" or "excellent" performance rating. Her goal as a piano teacher is to teach her students piano skills while giving them an understanding and appreciation of music. Ronald Graham was the founder of the Graham Piano Studio, bringing love of music and piano to thousands of students over the past 25 years. We, the teachers who worked with him and shared his passion, are committed to continue his legacy and his teachings for many more years to come.